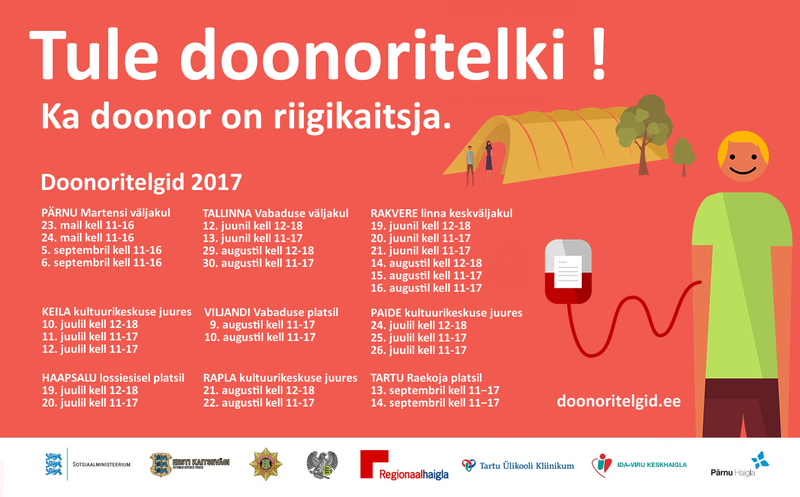 In the summers, donor tents set up in different towns in Estonia for two or three days at a time. The travelling tents help alleviate the shortage of donor blood in summer and offers donors a different way of doing good. Slogan “Donor is also a guardian of the state” carries the main idea of donor tents: donating blood is the simplest way to contribute to the national security. People do not need protection only in wars and catastrophies, but also every day at our hospitals. Thanks to donor blood human lives are saved every day. 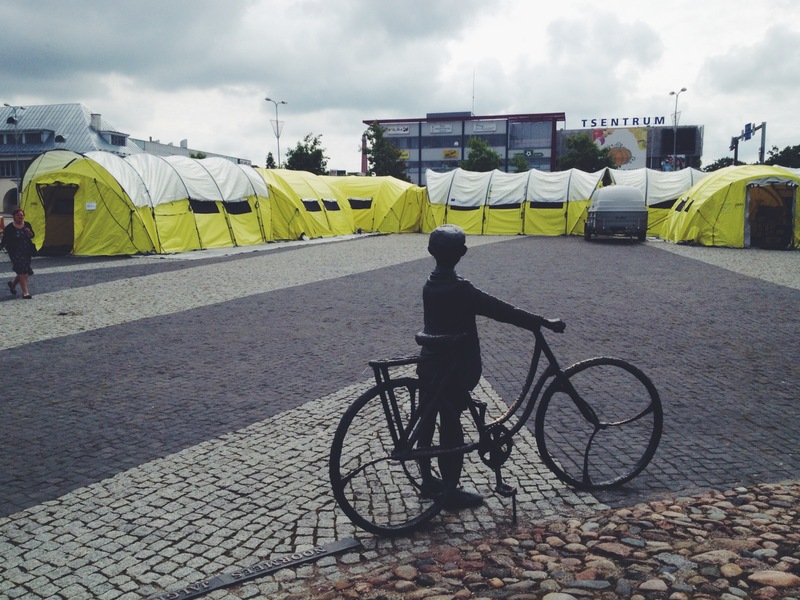 Blood Centre tents can usually be found in the central squares of towns from May to September. The cheerful atmosphere and bright yellow canvas draw many happy volunteers. A hundred or more donors usually give blood on each tent day. In addition, gifts are also drawn as prizes, there are games and the mascot, the pelican Dona, entertains visitors. A hundred or more donors usually give blood on each tent day. Other sponsors of the donor tents are: Fazer Eesti AS, AS Põltsamaa Felix, Coca-Cola HBC Eesti AS, Goadventure, Renalko Kaubandus OÜ, Sirowa Tallinn AS, AS Tallink Grupp AS, Bambona AS, Rademar OÜ, Rimi Eesti Food AS, Estonia MedicalSpaHotel, Sanatoorium Tervis AS, AS Kalev Chocolate Factory, Port Artur, Pärnu Keskus, T-Särgi pood, Wendre AS, Vanemuine Theatre, Aura Centre, Arctic Sport Club, AS A. Le Coq, Ahhaa Science Centre, Estonian Football Association, Estonian Volleyball Association, Estonian Basketball Association, Estonian Museum Association, Estonian Open Air Museum, Estonian Road Museum and the Estonian National Museum, Kalev Spa, Avon Eesti OÜ, Saku Õlletehas AS, Axellus OÜ, AS Pihlaka, Kuulsaal, Gen. Johan Laidoner Museum, Ugala Theatre, Strand AS, Paulig, Leibur, Chemi Pharm, Selver, Tammetalu Spice Garden. Giving blood means giving the gift of life!